Great picture! 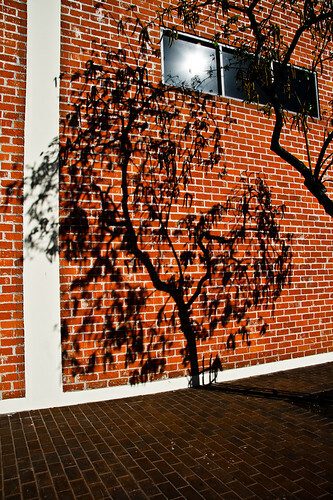 I'm a fan of tree shadows, as well. There is a house on our street which seems out of place in many ways, but one thing I love about the house is how the tree shadows dance on its grand white walls on a sunny morning. I love the sun in the window. Great shot!